This Collection Reflects European Elegance With Spanish Motifs And Vibrant Egyptian Crystal. The Graceful Ironwork, Crystal Spheres And Spanish Bronze Finish Makes For A Stunning Collection. A unique design for every dicor. Beautifully combining rustic and transitional styling, the Alta Loma 6-Light Dark Ridge Bronze Chandelier from Hampton Bay provides bright and even illumination to a variety of spaces. Ideal for a dining area, hallway or kitchen, the rich bronze finish is contrasted by irised scavo glass shades for a clean, simple look. Easy to coordinate with a variety of decor, this chandelier also complements other pieces from the Alta Loma collection for a custom look you will enjoy for years to come. 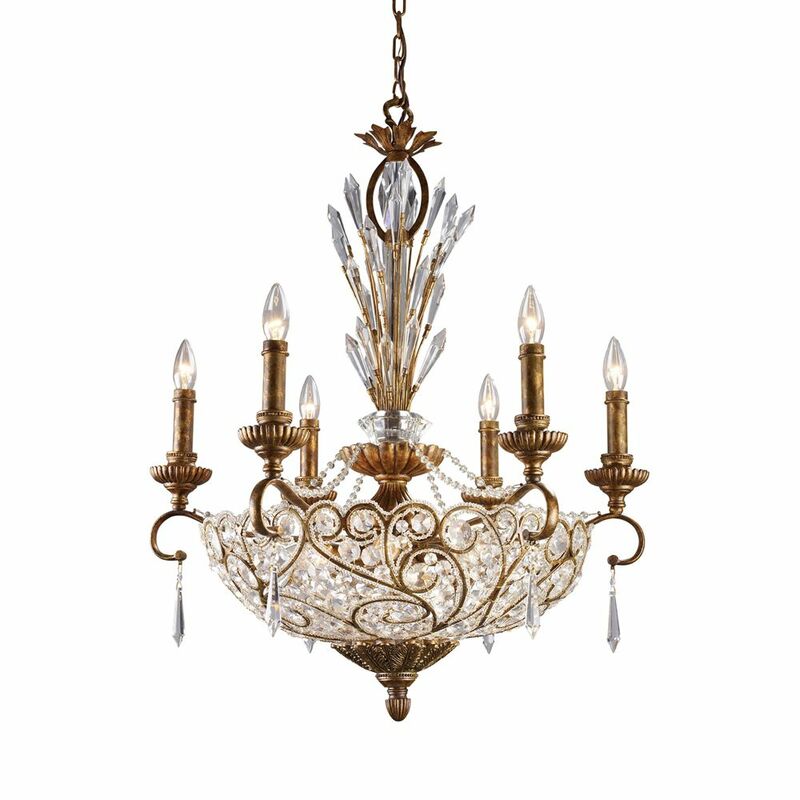 12-Light Ceiling Mount Spanish Bronze Chandelier This Collection Reflects European Elegance With Spanish Motifs And Vibrant Egyptian Crystal. The Graceful Ironwork, Crystal Spheres And Spanish Bronze Finish Makes For A Stunning Collection. A unique design for every dicor.